Images are extremely important in today’s digital world. The average internet user does not want to read a huge wall of text. They want to see a combination of text and images. Images arouse a user’s attention and help break up chunks of writing into manageable blocks. Furthermore, images can help convey messages and provide complimentary info to the text such as infographics. Alternatively, professional photographers and digital artists may simply want to showcase their images to potential clients. Whatever the reason, any images used on the web must be optimized. This article looks at why optimization is important for SEO purposes, together with images SEO best practice advice. Why is it Important to Optimize Images for SEO and Google Search? Why do images need optimizing? Why can’t you just simply insert images into your web pages without any prior alterations? Optimized images can help improve your SEO and thus provide higher rankings on Google searches. We have two web pages for travel photography. Website A has images that have not been optimized but does have other sound SEO techniques in place. Website B, on the other hand, has optimized images, and also good SEO practice. If a person searched for “travel photography” for example, although both websites have good organic SEO; chances are that website B would appear higher, however, purely due to the fact that their images were optimized. 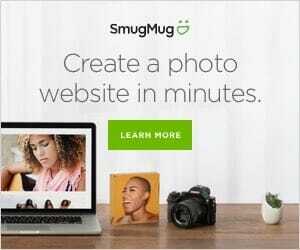 When Should You Use Images on the Web? Now that you understand why it is important to optimize images we should consider their actual usage. When is it appropriate to use images in your web content? Basically, images can be used as you wish but they should always have a valid purpose. Never use images just for the sake of it – an image should always enhance your web content. Finally, we should point out that you should always try and use your OWN images. Stock photography can serve a purpose, but photography and images that you have created will give your web content a greater level of authenticity. The most basic form of image optimization is the image filename. This is SEO 101 and one of the easiest things you can do to improve the readability of your images. The basic premise behind choosing an image filename is that you want Google and other search engines to be able to understand what the image portrays without even looking at it. An image file name should always describe what the image displays – it should never be a generic title or the default name that the camera chose for it. Example: you have an image of the Colosseum in Rome at sunset. The original filename is DSC1798.jpg – if you left the filename is this, how could Google interpret what the photo is? The simple fact is, it can’t! The filename should be something like Colosseum-Rome-sunset.jpg. This filename clearly states what the image depicts. Furthermore, the central keyword i.e. Colosseum has been placed first to show its importance and to denote that it’s the central theme of the image. Always rename your images and choose a descriptive filename!  Read more tips at Search Engine Optimization (SEO) Starter Guide > Optimize your images. Page loading times improve search rankings – this is a fact. A web page packed full with poorly optimized images will take an age to load. One simple method of improving load times and thus optimizing your images is to use the correct scale. If you have an image that is 1024x768px, but only you want to display it at 600x400px DON’T simply leave it at the larger size and allow it to be scaled down. Scaling images when loading takes time and increases loading times. That same image should be scaled down beforehand and saved at the desired size of 600×400. Some platforms such as WordPress actually have features that allow you to create multiple versions of one image. This could help speed up the process. Always be sure to choose the right file version when inserting, however. Pro Tip: If you want your images to display at a higher resolution on retina screens (e.g. Mac devices), you may want to upload your images at double the size and have a plugin detect the visitor’s screen resolution and serve the image file “@2x” (double the size). This will, however, slow downloading time. You have to decide what is more important in the eyes of your visitors: loading time or high-res images? This tag is an absolute must and some platforms can insert the srcset automatically such as WordPress. Note: Most pre-built themes are now mobile responsive themes. So you don’t need to worry about the responsiveness of your images. If your website theme is however not responsive, you may want to update it (very soon!). The actual file size of an image can make a huge difference to SEO ranking and also loading times. If you have a page full of images that are 5mb in size, for example, the loading times will be horrendous. However if you compress those images or save them as a smaller file type, the loading times will be much more favorable. Try to avoid original file types such as PSD and CRW as they are generally uncompressed and contain all the original data (CRW files can be 25mb+). These tools are superb to help reduce your image sizes. It is surprising how many people do not use captions when inserting images. Captions are often overlooked but they can boost SEO and also help readability. A caption is a small text you usually see underneath an image – it describes what the image is or what it represents; captions often also include a link to the image source. Statistics show that captions are actually one of the most-read aspects of a web page. You can use the <figure> and <figcaption> HTML tags to insert an SEO caption. When using captions, always consider if it is actually needed – don’t simply insert a caption because you think it will improve SEO – a caption should enhance the reader’s experience and understanding of the article. Image metadata is hugely important and every single image you use should contain an ALT tag and a TITLE tag. The ALT tag is an alternative text that is displayed if an image cannot be displayed for whatever reason. For example, a user may have images disabled, or they may be using a screen reader due to a disability. An ALT tag should describe what an image depicts, and it should also contain the main SEO keyword for that page if possible. The TITLE tag is just as important and is another tag used to describe what is seen in the image – much like a caption. When a user hovers their mouse over an image, the title will pop up and display the title text. The title tag is not as highly used for SEO purposes, but it is still important to add it into your HTML code. As with the ALT tag, ensure that the TITLE tag describes what is in the image, and contains the major SEO keyword for that piece of content. Image alignment can be a nightmare – find the right HTML and CSS code combinations to align an image within a block of text can be a trial, but that’s another story! Although image alignment is not necessary for SEO, it is important to consider to improve your user’s experience. An image should never break the left reading line. This basically means that you should never see a paragraph of text to the right-hand side of an image – it simply looks wrong! Blocks of text should always display entirely underneath or above an image! Note: On a desktop view, intro images can be on the left/right as it is important to get at least one image above the fold along with the relevant title and intro text. It is actually possible to insert several different snippets of code that can improve your image sharing on social media. The two main methods are OpenGraph and Twitter Cards. OpenGraph is a technique used to ensure that a specific image is used when a Facebook post is shared. Read more here: OpenGraph. Alternatively, Twitter Cards can be used to add extra information to your Tweets such as images, video, and audio. You can find out more information about Twitter cards here TwitterCards. Once you are comfortable with the SEO image optimization basics, you could consider trialing these social media sharing options for your images too. Standard XML sitemaps are hugely important for a website’s SEO – a sitemap can allow a search engine such as Google to crawl through the website hierarchy and see what pages are included. An XML image sitemap performs the same function but indexes every image within your website. For full information, you can check out Googles webmaster guide on XML image sitemaps. XML image sitemaps are not vital, but they could help improve the likelihood that your images will be found in search results. There you have it – an all-encompassing guide to optimizing your images! We hope you have found this article illuminating. It is hugely important to take this advice on board and optimize your images for Google Search indexing. You will hopefully see an improvement in your rankings in no time at all. If you do not, consider using an SEO analytical tool such as Yoast to see what other improvements you could make. Maybe your keywords are too infrequent, or maybe your metadata need tweaking. Good luck and happy image optimizing! Previous articleWhat to Photograph in Bali?